What’s the Truth About the Relationship Controversy Surrounding ‘We Got Married’ Couple Seo In-young and Crown J? Seo In-young, also known as Elly, is a singer, dancer, model, television host, and actress who was born on September 3, 1984. She used to be a member of the Korean girl group Jewelry and she worked under Star Empire Entertainment. Later, she established her own private entertainment company, IY Company in 2012, but she transferred back to Star Empire Entertainment in 2016. This shining star has been releasing a flood of albums and singles since 2007, including Elly is So Hot, Elly is Cinderella, Lov-Elly, Ellythm, Wash, and many others. Besides working as a singer, she also actively participated in television program such as We Got Married, Heroes, Immortal Songs 2, and more. As if that doesn’t keep her busy enough, she also became the host of the beauty program Star Beauty Show and has been the main voice coach for Voice Korea Kids. Want to keep up with this incredible entertainer? If you are curious about what’s keeping Elly busy these days, you can follow her on Instagram @you_ng9! Let’s Get to Know Crown J! 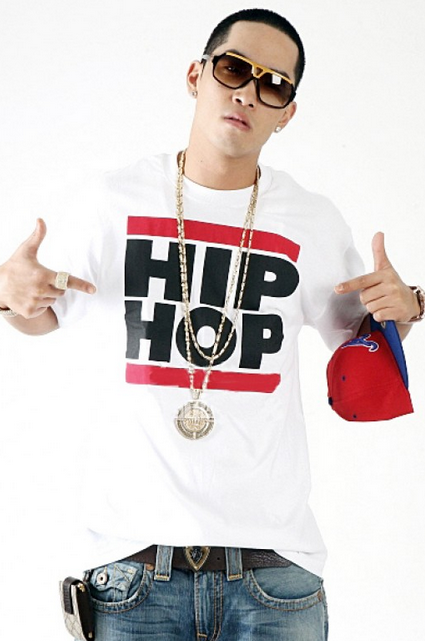 Crown Jewel, often known by his nickname Crown J, is a rapper who was born on November 12, 1979 and given the birth name Kim Kye-hoon. He studied abroad in the United States when he was younger, and he used to attend the University of Santa Monica until he transferred to UCLA. He majored Economics, but he had to go back to Korea in order to fulfill his mandatory military service. After he finished his military duty, Crown J started to develop an interest in music. He made his debut by releasing an album titled ONE & ONLY back in March 2006. Not long after, he released his second album Miss Me? in 2007 and gained mainstream popularity after starring in We Got Married with Seo In-young the next year. The two of them later were known as ‘Ant Couple’ and released a digital single titled Too Much together. If this little preview makes you want to follow along with Crown J’s latest activities, you can follow him on Instagram @crownjflyboy and check what he is up to right now! Seo In-young and Crown J were one of the original couples in the first season of We Got Married. Other couples featured that first season included Alex Chu and Shin Ae, Shinhwa’s Andy and Solbi, and who could forget Jung Hyung-don and Saori? Our famous lovebirds were given the nickname ‘Ant Couple’ by the fans of the television program. Even though the couple indeed gained popularity for their appearances on We Got Married, it wasn’t always for the best of reasons. One of many things that made the two of them so well-known was Seo In-young’s temper. In an episode of Mnet’s 4 Things Show, Seo In-young read comments about how she acted on We Got Married. One of the people who commented said that if he had a girlfriend like Seo In-young, he wouldn’t be able to spend even one hour with his girlfriend. Ouch! Reading this, Seo In-young laughed and admitted that she actually felt the exact same way when she watched the program herself. She also confessed that she felt really sorry about how she treated her virtual husband, Crown J. Later she actually called him to apologize for how she’d acted while they were together on We Got Married. Impressive! What do you think about this? Were you also horrified about how Seo In-young acted on We Got Married? After wrapping up their virtual marriage on We Got Married, Seo In-young and Crown J reunited once again a few years later! It seems they didn’t get enough of each other the first time around. This time they starred on another virtual marriage program called With You, which was aired in JTBC. Unfortunately, a controversy surrounding Seo In-young emerged during their appearance on the program. It was said that a video showing Seo In-young verbally assaulting a With You staff member was circulating at that time. Because of this controversy, Seo In-young received a lot of backlash from the show’s fans. Eventually, it got so bad that the couple’s appearance on the program had to end. As the result of these critics and their comments, Seo In-young closed herself off from the world and wasn’t active on social media for quite a long time. Her agency defended her by saying that what actually happened is quite different than what the video appeared to show. Their statement said that she didn’t curse out a specific individual, but rather was simply publicly expressing her anger overall. However, they also stated that it is wrong for entertainers to curse on set and went on to say that Seo In-young was currently reflecting on her mistakes. Meanwhile, her virtual husband, Crown J, defended her by saying that Seo In-young was under a lot of stress herself at the time. He pleaded to everyone, especially netizens, not to be too critical of her and reminded everyone that despite her superstar celebrity status, Seo In-young is human too. What do you think about the controversy surrounding Seo In-young and Crown J? Don’t forget to leave your opinion on the comment section! Check Out SHINee’s Latest Comeback and Jong-hyun’s Solo Album Here! Choi Min-sik’s Profile: Performances, Awards, Fun Facts, etc.